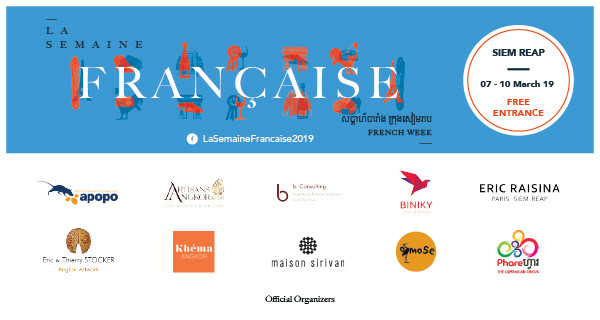 This year French Week took place from March 7 through March 10, 2019 and showcased French companies and NGOs in Cambodia. 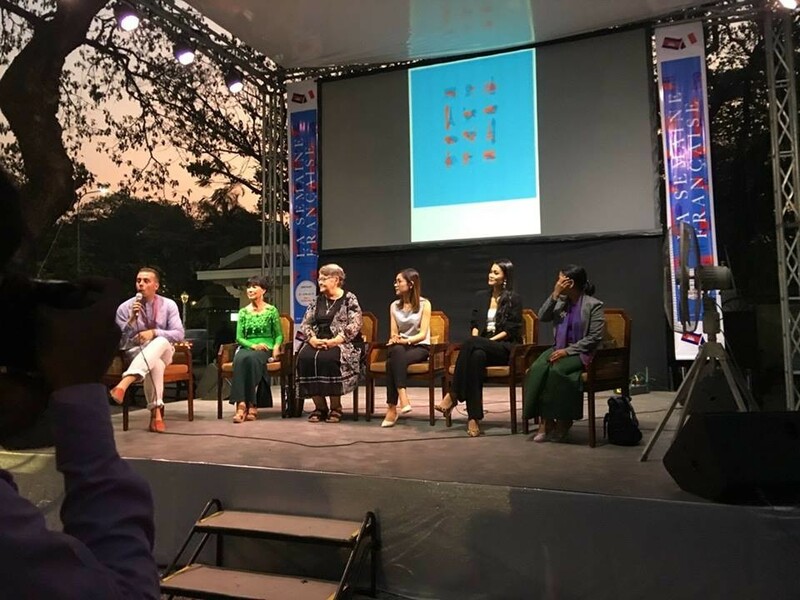 The 'know-how' or savoir-faire – of more than seventy French companies in Cambodia was exhibited over the four days. Rich entertainment activities included film screenings, dance and music performances, fashion parades, and drew in crowds of more than 4,000 visitors. French national Benjamin Carrichon (far left), APOPO's Visitor Centre Manager in Siem Reap, was invited to participate. As an official organizer he was able to promote APOPO to the local and international community. He was also the host of the Q&A talk-show on Friday with engaged women of Cambodian civil society. As a tribute to International Women’s Day on March 8th, the panel was made up of five women who took action and inspired change in their country. One of these women was Sister Denise, a recipient of a Nobel Peace Prize and a key figure in the International Campaign to Ban Landmines (ICBL) that led to the Mine Ban Treaty in 1997. She discussed the current issue of landmines in Cambodia and spoke fondly about how APOPO uses detection rats to find landmines and other explosive remnants of war. 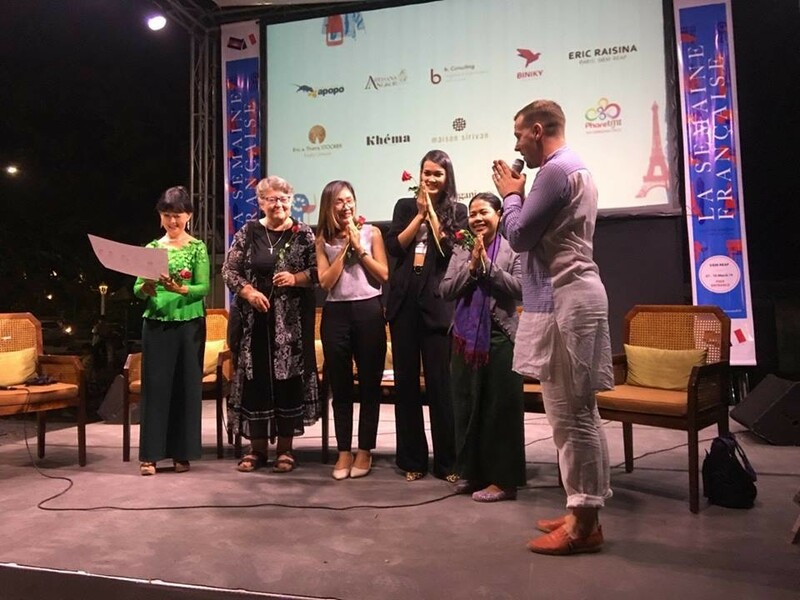 The other women were actress Dy Saveth, supermodel Kouy Chandanich, journalist Socheata Chen and the Project Manager for Siem Reap Women's Resource Center Pisey Khim. "It was an honour to share the stage with Sister Denise and we would like to thank her for the kind words of support about APOPO and the HeroRATs. The event was a great opportunity for different organisations and people to get to know APOPO and the vital work that we do," said Benjamin Carrichon.